I saw this idea on Pinterest a while back and thought what an easy and simple idea! 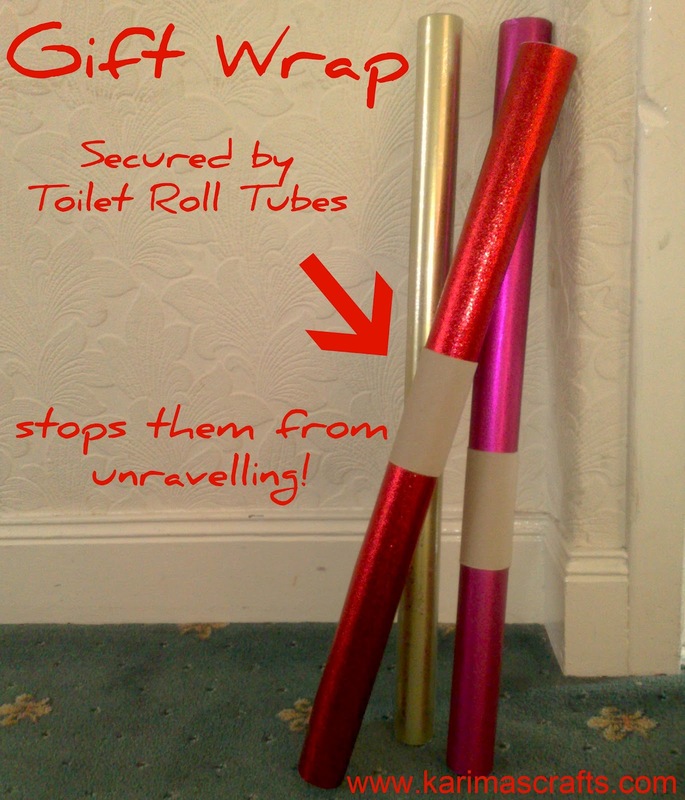 I now do this for my rolls of wrapping paper (as my photo shows!). I have thrown away many pieces of damaged gift wrap in the past because it has unravelled and damaged the paper. Pinterest is a great site that I get a lot of inspiration from. 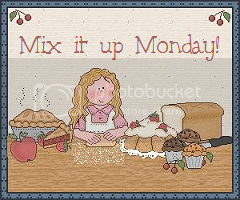 If you are not already a member I would suggest popping by and see what great stuff people like pinning. I have a board just for 'great ideas' and I love finding new great ideas from other people! You can follow my Pinterest boards by clicking on the Pinterest Logo on the right hand side of my blog. PS: I am not being asked to do a review, I simply love Pinterest and want to share this site with you! Good idea..Yes pintrest is filled with fun inspiration..
Asalamalaikum Khadija - thanks so much for your lovely comment - I am glad you already know about Pinterest - It is brill! You are a smart woman, no wonder. Thank you so much for your sweet reply. I love finding new ideas! Thank you Dana - It is such an easy idea and a great way to recycle and upcycle things too! Thank you, I do hope I have inspired you. I love recycling and upcycling things - that is why I share my ideas to help others realise how easy it is! Thank you so much - thanks for popping by. really nice blog :) im your new follower.. 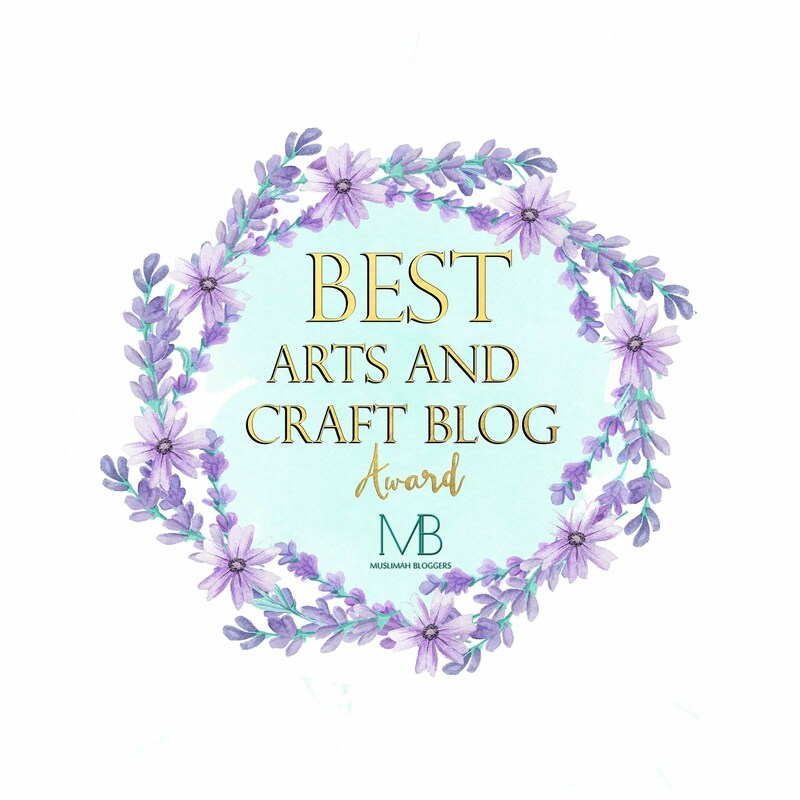 Thank you so much for following - will pop by your blog later inshallah. This is such a wonderful idea! I can't stand when the paper unwraps into a wrinkled mess. Thanks so much for sharing with the Pink Hippo Party..can't wait to see what you share next! Thanks Amie - Hopefully I will be joining the party next week too! Isn't it amazing how the simplest ideas can make life so much easier!!! I love Pinterest too -- could easily spend WAY too much time there. 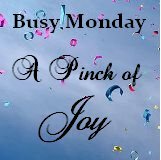 Thanks so much for sharing on Busy Monday at A Pinch of Joy. Hope to see you again soon! Thanks for your comments - Yes I love Pinterest! Great idea! thanks.I'm going to use it. Glad you liked the idea - thanks for visiting. Thanks for your question. 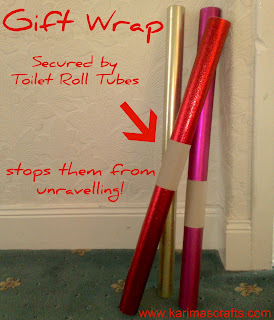 What I have noticed is that some wrapping paper rolls have different widths and also the toilet roll tubes also have different widths - so it is just making sure that you have the ones that match up. I have used the smaller version cardboard rolls for these particular wrapping paper rolls.